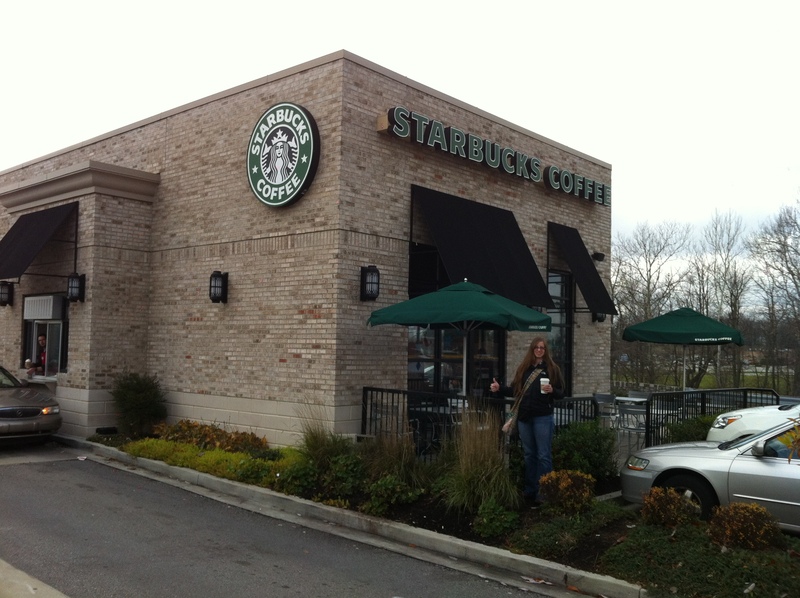 As I entered the door of this Lexington, KY Starbucks, I glanced at a decorative film on the door reading “Rediscover why we’re best friends.” I rediscovered this a few hours earlier….. after picking up coffee on our way out of Louisville from *another coffee shop*. We’re best friends because you, Starbucks, make good coffee. I could have used a little TP in the restroom to top off my experience at this makeshift roadside rest on the way to Smoky Mountain National Park for an excellent Thanksgiving getaway, but overall my Cher hair and I give Lexington a big thumb’s up.